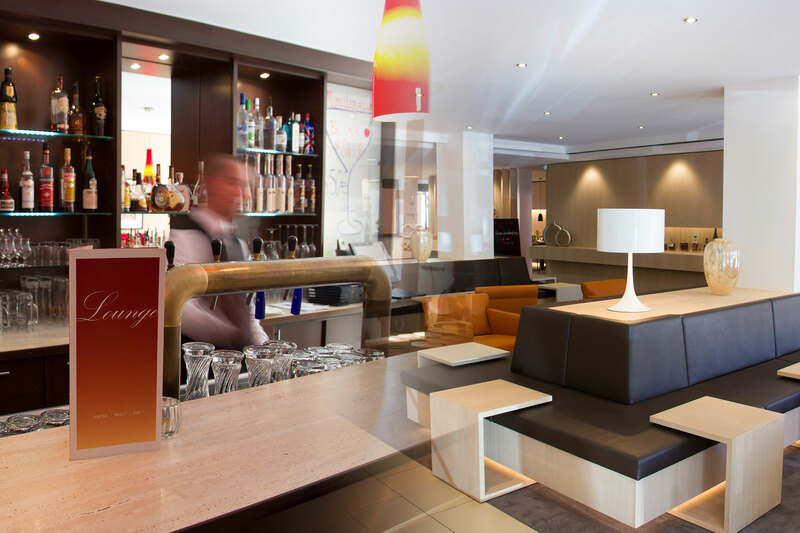 Our elegant lounge and the adjacent bar invite you to linger, relax and enjoy the atmosphere. 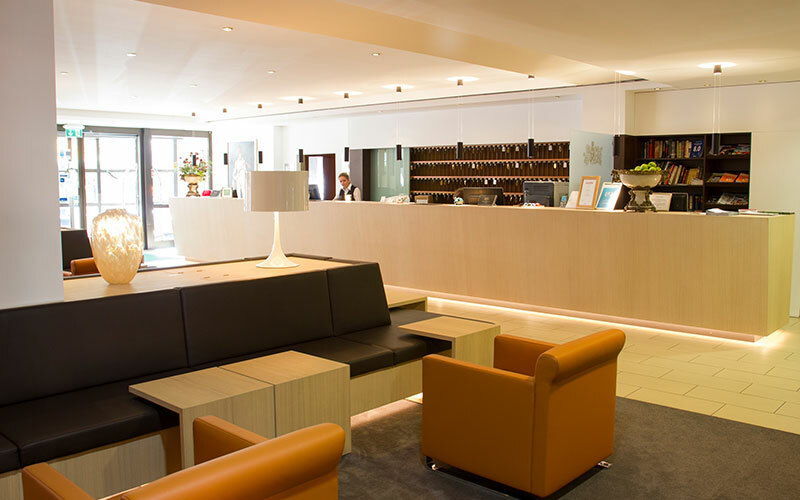 Our lobby was completely redesigned and exhaustively renovated in the spring and summer of 2016. Here people meet in an elegant and casual atmosphere to enjoy a stylish aperitif before dinner or a cosy get together. We’ll serve you selected snacks, freshly tapped beers, cocktails, coffee specialities as well as a large selection of spirits accompanied by subdued piano sounds. 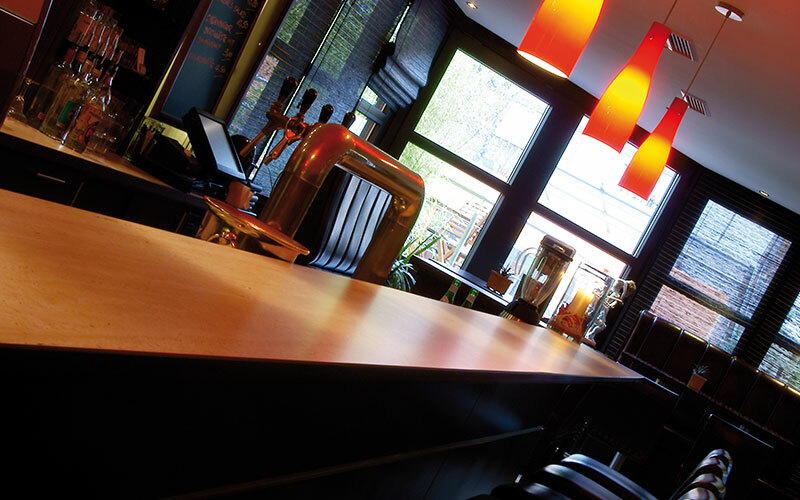 Our hotel bar is the ideal place to end the day in a relaxed atmosphere. Enjoy freshly tapped beer, good wine or have an exotic cocktail mixed for you. Here people meet in an elegant and casual atmosphere. In our lounge you’ll find a cosy place to relax or work. We’ll serve you selected snacks, freshly tapped beers, cocktails, coffee specialities as well as a large selection of spirits accompanied by subdued piano sounds. Our Executive Chef Maximilian Wiegner will pamper you in the afternoon with delicious cakes and fine patisserie. In the evening he will serve you fresh antipasti from the vitrine as well as selected Italian dishes.